Before singing a note, Jussie Smollett took the stage and fought back tears as he told the crowd that he had to go on with a Southern California concert because he couldn't let his attackers win. "The most important thing I can say is 'thank you so much, and I'm OK," said the "Empire" actor and R&B singer from the stage at the Troubador in West Hollywood in his first public appearance since he reported to police in Chicago on Tuesday that two masked men had attacked him and put a rope around his neck while using homophobic and racial slurs. "I had to be here tonight, y'all. I couldn't let those (expletives) win," he said to screams and cheers from the packed room. "I will always stand for love. I will only stand for love." Then he paused and said emphatically, "I'm the gay Tupac." "I am working with authorities and have been 100% factual and consistent on every level," the statement said. 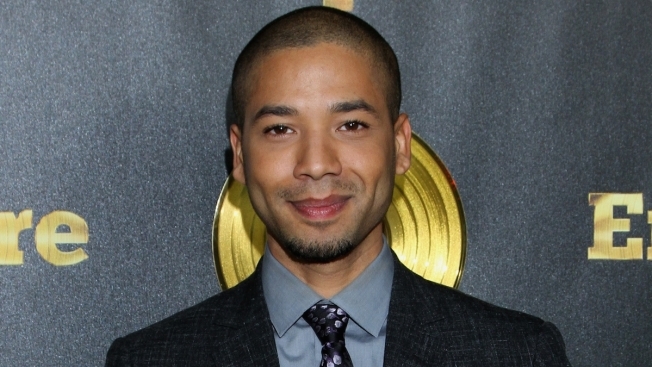 Smollett stars alongside Terence and Taraji P. Henson in "Empire," the Fox TV show about the power struggles of a family in the music business that is now in its fifth season. Last year he released a solo album, "Sum of My Music, which made up much of Saturday night's set.